Section 4 Twins sons of Thos. and Ida Watson. 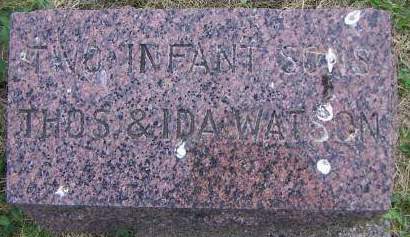 Searching for INFANT SONS TWINS WATSON in Sioux County Iowa?